In this video you’re going to learn how to submit your sitemap to Google Search Console. Before you do that you’ll need to set it up using your SEO plugin. And you’ll want to have chosen your preferred domain. Mine is the HTTPS (SSL) version without WWW. If you're using All In One then your sitemap URL will be domain.com/sitemap.xml and if you're using Yoast then your sitemap URL will be domain.com/sitemap_index.xml. You only need to submit the sitemap to your preferred domain. Make sure your site map is visible and you know the URL. Go to Google Search Console, formerly known as Webmaster Tools and open your website’s profile. Click on Crawl then Sitemaps then click on Add/test sitemap. Google fills in your domain name for you so all you need to do is add either sitemap.xml or sitemap_index.xml to submit or test your sitemap. Test your sitemap first then click View test result. 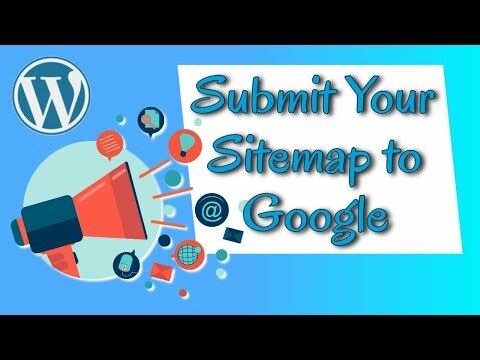 Make sure there are no issues then go through the process again to submit your sitemap. Google will tell you it's "Pending". Click on the link to your sitemap and check for issues. When everything is OK then do a "Fetch as Google" choosing "Fetch and Render". Now request indexing and choose Crawl this URL and its direct links.